Rev. 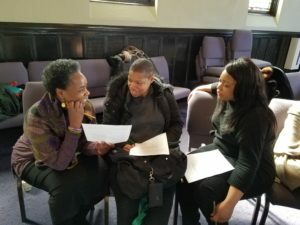 Gloria White-Hammond, Co-Pastor of Bethel AME Church, was surprised when 40 congregants showed up for a Conversation Project Starter Kit workshop when only 10 had committed to coming. Clearly, there was greater interest in end-of-life conversations than even these church leaders imagined. Pastor Gloria and her husband Pastor Ray Hammond—both medical doctors and ministers—have always sought ways to unite the ministry of the spirit and body. They know that talking about death and dying is not an easy conversation to start. But not talking about “what matters most” has its consequences. Like many clergy, they have witnessed conflict and strife among family members who did not know what kind of care their loved one wanted at the end of life or what arrangements they wanted when they died. They saw funerals become a time of grief marred by family dysfunction because people had not had a conversation about their end-of-life wishes with their family and friends. Those experiences fueled Pastor Gloria’s passion to help people move past their anxieties about talking about dying and death. Pairing her medical knowledge with encouraging values-based conversations, she is guiding her congregants to reflect on the reality of aging, illness, and dying, and to consider what kinds of decisions they might make in the face of these realities. In 2015, the Bethel AME congregation partnered with The Conversation Project—an initiative through the Institute for Healthcare Improvement—to help people think about how they want to live at the end of their lives, and to communicate those wishes to their loved ones before a medical crisis arises. This collaboration led to the formation of a welcomed new ministry at Bethel. The insights and enthusiasm of the original 40 workshop participants sparked a movement in their predominantly African-American congregation in Boston. Though the “40 sparks” began by asking questions with some fear and reluctance, they were motivated by the urgency they felt to plan for the inevitable: their deaths. In the company of one another, in the familiar setting of their spiritual home, people expressed their uncertainties and anxieties, and supported each other to discuss the decisions that they believed would help their family and friends at critical and difficult times: as they were dying—and after they passed. Their engagement in these spiritually grounded conversations led to the creation of a new ministry and a desire to share it beyond the walls of their church building. 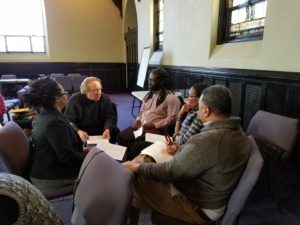 Bethel’s pastors recognized the power of hosting small, intimate, and informative groups to engage congregants in these critical discussions and supported the creation of a new pastoral ministry: Planning Ahead. 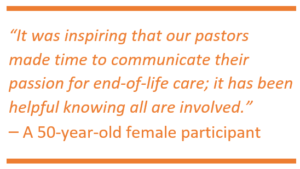 The goal for Planning Ahead was not only to create a ministry to help people face the reality of mortality, but also to strengthen family bonds and bonds with God and the congregation. Grounded in this framework, they set a numerical goal to turn their aspirations into tangible action and to track progress: by 2020, 200 members of their 400-member congregation will complete all three Planning Ahead sessions, discuss their wishes with their family, and provide a copy of their Medical Care Directive to their physician. By the end of 2018, 184 congregants had started the program, and an estimated 22% had completed the process. New participants are invited to join the program each season (Winter, Spring, and Fall). They aim to run three simultaneous Planning Ahead groups with an average of 7-8 congregants per group (cohort) each season. In year one, Pastor Gloria and two pastoral ministers co-led the cohorts. 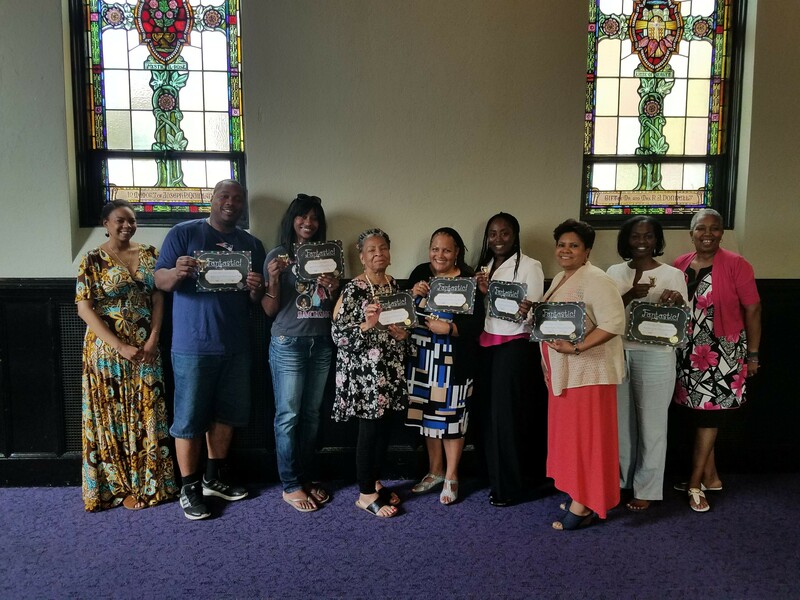 By year three, seven Champion Leaders/ministers had been trained by going through the program themselves, and are now paired with senior program minister Rev. Sabrina Gray or Rev. Gloria White-Hammond to lead the cohort. Twenty-five cohorts had been run through 2018. In addition to these programming elements, Bethel AME pastors deliver topic-related sermons and make print and web resources available to congregants. Church-produced videos featuring members discussing their personal Planning Ahead journeys and how they had the conversation with family and friends are shown during church services. Through the slow and steady process of the Planning Ahead program, seeds for having conversations about end-of-life have been planted. What was initially a difficult subject to broach has become a normalized, comfortable topic of discussion, and Planning Ahead has become a recognized and valued ministry in the Bethel community. Encouraged to have conversations with all family members (not just one person in the family), Planning Ahead participants acknowledge and honor the strength of family that is so critical within their African-American community. The Planning Ahead journey is different for each person, and it is an ever-evolving process. Everyone enters this journey at their own comfort level: some with a sense of necessity after the death of a loved one, some interested in relaying what they learn back to others, some for their own unique reasons. Toni, a 30-something-year-old Champion Leader, said she felt she had become “invisible” when someone she knew died. She withdrew from friends or family if a loved one died until she was asked one day after service at the Planning Ahead sign-up table, “Does anyone know your plans if you died today?” Thus began her journey to “authentically” deal with death. 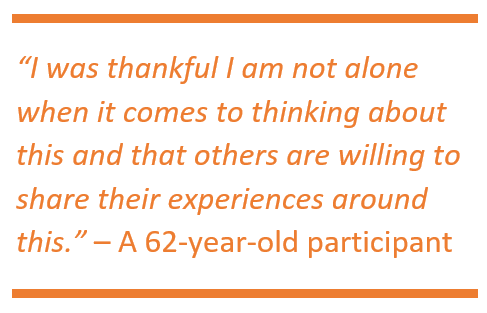 Her experiences with facing her anxieties have given her an unabashed willingness to share and encourage others to take action to understand and make decisions about how they want to live at the end of their lives. Shaya and Kwadwo, a young couple with a new infant son, saw the need to plan ahead given their “new responsibility.” Shaya spoke about the amount of time they spent trying to decide what crib to buy and what car seat to buy. They decided that spending time making plans for their son in the case of their death was another important way to care for their son. Joyce, a physician and medical school professor, told her children Kwaku and Nicole about her Planning Ahead decisions. At first, the children thought it was insensitive of her to discuss her death. They soon realized that their mother was not being insensitive, but just “being mom”—caring for them on another level by sharing her and her husband’s end-of-life wishes. Joyce plans to suggest that courses on hospice and palliative care be added to the curriculum at her medical school. Karen, a Bethel Champion Leader (and one of the original 40), realized Planning Ahead was a journey she herself had to experience before expecting others to. She had to walk the journey persistently and consistently, committed to listening to “in-your-face honesty” from people with different levels of understanding and comfort levels. Bethel leaders also knew that culture can play a hand in a person’s reluctance to discussing end-of-life issues and that the Planning Ahead ministry could help congregants navigate this topic in the context of their own cultures. Margaret, a Champion leader, participated in Planning Ahead shortly after her mother’s death. As was customary in her Ugandan culture, she was in the process of grieving and planning her mother’s yearlong memorial. Planning Ahead helped Margaret see the benefit of planning her own end-of-life wishes ahead of time to ease this future yearlong process for her loved ones. At the onset, the Bethel planning team knew that the words they used to frame their message to invite people in mattered. They chose not to use the term “end-of-life” in their program title because, as Christians, they believe that life continues after death. One of their simple yet most powerful reminders is that Jesus had a plan and shared it with his followers. Bethel’s leaders also emphasize the importance of taking a leap of faith, introducing this work with courage and confidence and testing ideas to see what works. Trying new ways to reach their congregants to see what resonated was important. For example, when leaders first introduced the movie Extremis they were a bit apprehensive about how this would be received by congregants, but this didn’t stop them from trying it out with a small group. The overwhelmingly positive response and impact on congregants provided them with an “exhale” moment of relief and an understanding that taking risks is important. Trusting people to tell them what works and doesn’t is critical. They have learned and continue to learn what Planning Ahead means, what people need, and how this program benefits them and their loved ones. 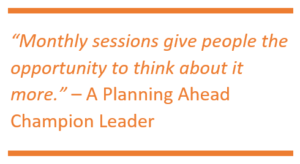 The Planning Ahead leaders remain flexible, continuously adjusting and improving their sessions to tailor the curriculum and format to the needs of the participants. The Planning Ahead ministry is unique in this way: the participants direct the program’s development path. 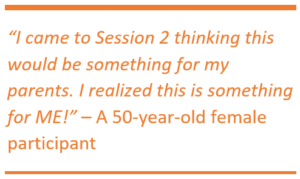 Surveys are given at the end of each session to prompt participants to anonymously offer ideas and suggestions that are then incorporated into future sessions and new programming. For example, they now offer sessions directed to the needs and questions raised by young adults, ages 20-39. They have added funeral, estate, and legal planning sessions to the mix of offerings. Recognizing that physicians and health care workers have particular personal and professional needs in this arena, a special cohort was designed for them to share challenges and offer listening and mutual support to others in their field. 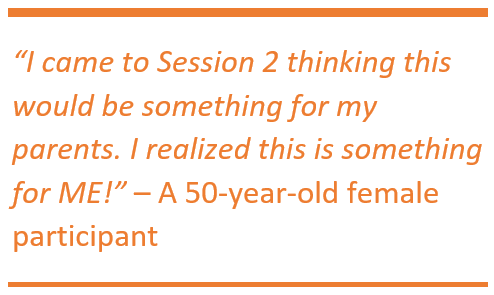 Participants in this cohort reported that the sessions helped them talk with their patients and families about difficult decisions with more understanding. The written and verbal feedback the Bethel leaders receive has been invaluable for sustaining their work. Rev. 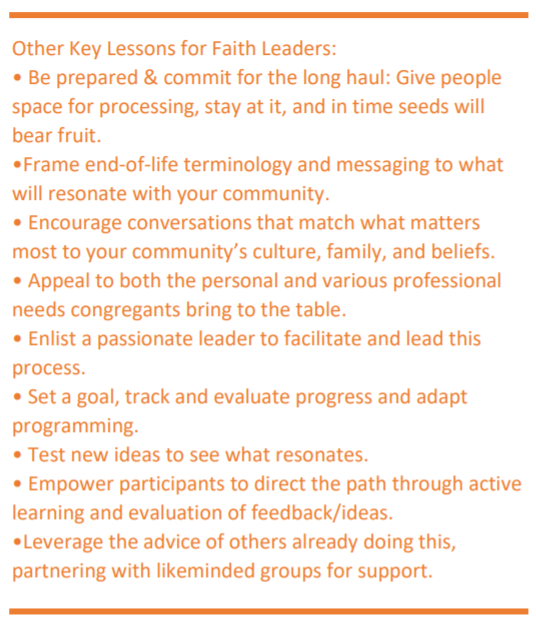 Sabrina and Pastor Gloria noted how their intrinsic motivation is nourished when they see and hear from congregants and the community how Planning Ahead has helped them, their families, and their spirituality. This extended reach and internal programming have been possible through the leadership of a funded, dedicated Planning Ahead point person. Rev. Sabrina Gray has been an active and passionate advocate, planner, and always-present face of the Planning Ahead program. She has built critical relationships and provides one-on-one support to congregants throughout the process, ensuring its sustainability and fresh perspectives. Pastor Gloria emphasizes that identifying a passionate and engaged leader has ensured the quality of stewardship across Bethel AME and has been the best return on their work. They found that providing this leader with a stipend helped provide added accountability and incentive. They also emphasize the importance of having a thought partner, as they did with The Conversation Project, to provide mutual support and serve as a sounding board to help propel their work forward. Getting objective feedback, perspectives, and suggestions from someone outside the congregation with respectful ears was helpful. In addition, setting a numerical goal and tracking progress towards that goal also helped provide them with added energy and adrenaline to keep this important work moving forward. Pastor Ray and Pastor Gloria, Planning Ahead leaders, and the 184 participants continue this journey with patience, helping one another learn and understand the Planning Ahead process. Some people have stumbled, some have dropped out, some refused to join the discussion, but 184 have jumped in ready to walk with each other in this necessary journey. They remain flexible and faithful to the process as it continues to unfold. Bethel AME congregants are well on their way growing in faith, making informed decisions about end-of-life care and sharing those decisions with those they love and those who need to know. Two stories illustrating this point: Sabrina, the Planning Ahead Coordinator, presented her 5 Wishes® to her five children at the close of a holiday celebration. Although she had told them in advance there would be a discussion about her end-of-life decisions, during the discussion one of her adult children fled the room in tears. This same child later explained to her mom the difficulty she had with listening and processing mortality, but signed up for the next young adult Planning Ahead series. Bertha, a faithful member of the Bethel’s congregation, listened, asked questions, and shared her fears of having the conversation with her sons. Neither of her sons wanted to hear or discuss her plans. Bertha shared her plans with her daughter-in-law, whom she also asked to be her health care agent. However, through her ups and downs with her family, rethinking and changing her 5 Wishes® three times, she has now given a copy to her physician and family. One of her reluctant sons has now completed the Planning Ahead sessions. Want to connect with Rev. Gloria White-Hammond or Rev. Sabrina Gray? Email pastorgloria@bethelboston.org or sbwgrace77@gmail.com. Read and listen to Rev. Gloria White-Hammond share more of her story in this blog: Breaking Down the Barriers Between Medicine and Spirituality. 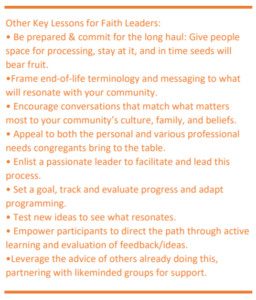 Further guidance on Getting Started Guide for Congregations and other resources for Faith can be found on The Conversation Project’s Faith Resources page. I am very interested on this program, from the perspectives of a non-beliver. Thank you for posting this excellent article. Our coalition has been talking with local churches about this message, and sharing this article will help them to see how to make it happen. Thanks for this article! So much relevant information! Dr. Gloria, you have to come back to Belmont University in Nashville to share this with our campus community!